At Aspire Bifolds, we provide both versions of the Origin aluminium windows. There is the Origin OW-80 and the Origin OW-70. But what is the difference? We explain everything you need to know with our Origin aluminium windows review. Origin aluminium windows review. What you need to know. First of all, Origin windows are relatively unique in who makes them. Only Origin makes their windows. Choose an Origin window for your home and you get a bespoke aluminium window exclusively made by the company that designs them. The second thing about Origin windows is their appearance. They are the only aluminium window with a double flush casement for the OW-80. Just like traditional timber windows the opening section of the window sits flush with the frame, not overlapping it. But best of all, you also get the flush look on the inside as well. This elegant flush casement arrangement means these windows serve many different uses. As a result, Origin windows work well in a traditional house, replicating the look of the original flush casement timber windows. Furthermore, they also look fantastic as a contemporary window as well. Types of Origin aluminium windows. There are two types which form the basis of this Origin aluminium windows review. The OW-80 Origin window is the original version which is 80mm front to back on the outer frame. The OW-70 is the new model. Origin OW-70 aluminium windows are 70mm front to back making them ideal for replacing old windows or for a new build extension or window opening. The elegant and sleek appearance of modern aluminium. A big choice of colours. Bespoke-made windows for your home. Uses for Origin aluminium windows. Our Origin aluminium windows review explains the uses for these windows. The convenient front to back frame dimensions makes this modern aluminium window very versatile. Use Origin windows if you want to replace your old windows such as outgoing timber or PVCu as well as early generation aluminium windows. You can even use Origin aluminium windows next to our Origin entrance doors to create a beautiful front porch or rear French Doors with side panels. 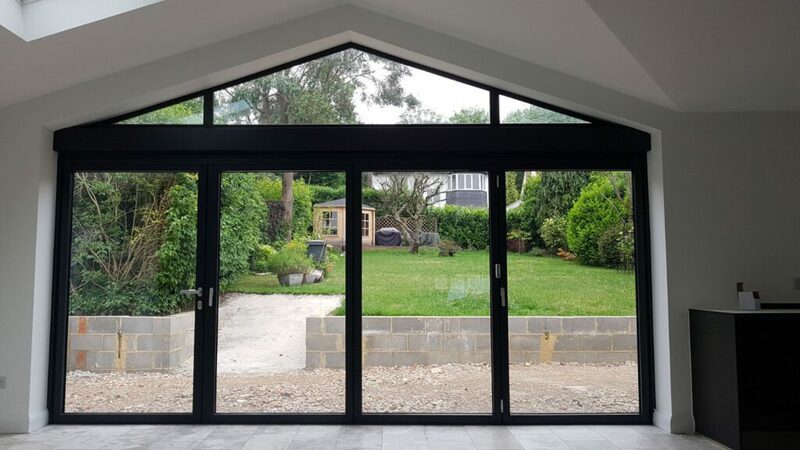 As well as traditional windows and screens, Origin aluminium windows make stunning picture windows as well as apex or gable windows above bifolding doors. In our Origin aluminium windows review, it is worth mentioning the important details of these windows and why it matters in your buying decision. All Origin windows come with thermally insulated profiles helping the window be very energy efficient. As a result of these frames and the high specification insulating glass units, you save money on your heating bills. Origin windows are very energy efficient. Origin windows also come with Aerogel upgrade. Aerogel is a space-age material that goes inside the aluminium profiles, therefore boosting the energy efficiency even more. Create big floor to ceiling windows. While aluminium is slimline, it is also very strong. Origin windows are perfect for creating the large, fixed or opening windows typical of today’s modern home extensions. Origin windows come in bigger sizes for width and height than other windows on the market. Origin aluminium windows lead the market when it comes to choice of colour. As well as the full range of powder-coated finishes, you can choose a different colour inside and out. Furthermore, woodgrain comes to aluminium with a choice of oak, rosewood, mahogany and walnut finishes. 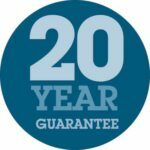 Secure and weather resistant windows. All Origin aluminium windows are independently tested for the best in security and weather resistance. The best Yale locking systems, robust hinges, locking handles and special seals and gaskets all give you a secure window. Therefore an Origin window keeps your home secure and protected in bad weather. Create any kind of window design with Origin windows. Every home is different. This is why Origin windows give you the choice of all types of fixed and opening windows. Choose from fixed with opening windows, French casement windows, bay windows, gable windows as well as floor to ceiling windows. Helping you choose between Origin Aluminium Windows. The noticeable differences between the OW-80 and the OW-70 is how they look and the sightlines. For timber-look flush casement windows we recommend the OW-80. We also recommend this window for triple glazing and Aerogel, giving you the most energy efficient window possible. Finally, OW-80 gives you the biggest possible window sizes. The new Origin OW-70 window gives you a slimmer, sleeker window without the flush casement arrangement inside and out. Therefore, if you are looking for a very thin window for your new extension, cottage or to replace old steel windows, we recommend this model. Contact us today for the latest aluminium windows for your home. Almost every modern aluminium window comes with great specifications. However, Origin windows offer you even more. Why not visit our showroom to look at our full range of Origin aluminium windows, traditional windows and even the latest steel replacement windows. Or contact us for a free quotation.